With the technology advancing at a rapid pace, text messages are uncommon these days. For most of the time, we only get promotional messages from different companies. So, naturally, people have the habit of deleting multiple messages at one go. However, many people still use text messaging service to communicate important matters. The trouble begins when you delete an important text. In this case, you must be thinking how to get text message records back to your iPhone. In this guide, you will fund multiple methods to recover text message records in your iPhone. When you try to retrieve the text message records from your service provider, you need to wait for a minimum of two weeks. Also, the method is cumbersome because you need to complete some formalities before you can get the text messages. 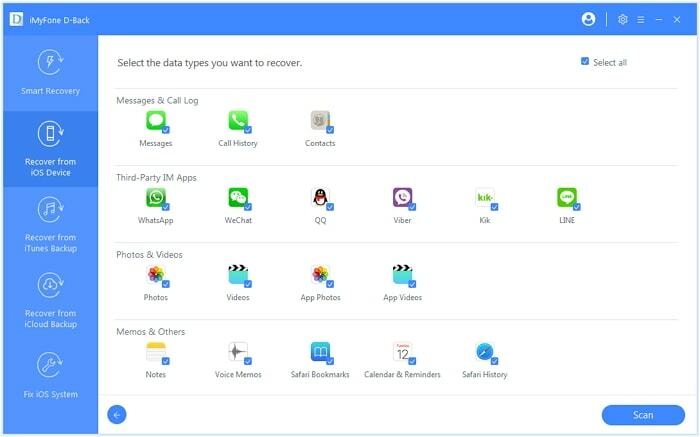 When you use iMyFone D-Back data recovery tool, you can quickly get the text message records even if you don’t have a backup of your data. You can also use iTunes or iCloud backup to get the records without restoring the entire backup to your iPhone. One of the most common methods of getting the text message records is to request the respective service provider. They don’t store any kind of text message content. What they have is only the date, time of the message and phone number of the sender. When you request your service provider for the text messages, they will send you a form that has to be filled and notarized in two weeks time. Once they receive your form, within seven to ten days they will send the message history of last three months. But the message content that includes attachments such as images, music or videos can be recovered only using alternate methods. 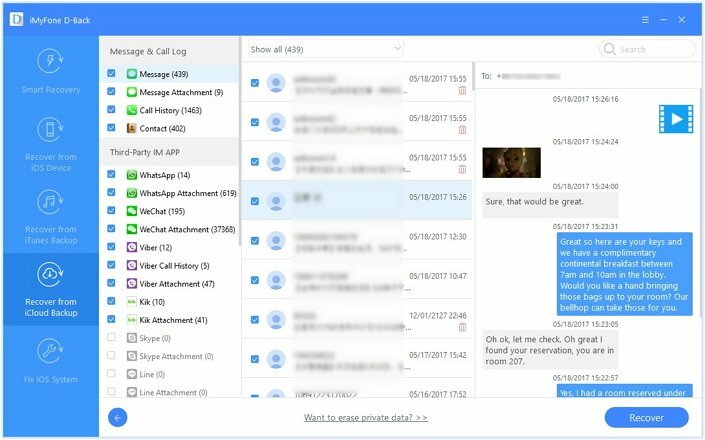 If you are not satisfied with the recovered text messages and still searching how to get text message records, you can try the advanced methods of getting your iPhone text messages records back. When the message gets deleted from your iPhone, it does not get deleted immediately. The iPhone data is hidden and can actually be recovered using the third-party software until it gets overwritten with any other data. iMyFone D-Back is an iPhone data recovery tool that comes with numerous features. It is the popular and secure software and is widely used by millions of people across the world. 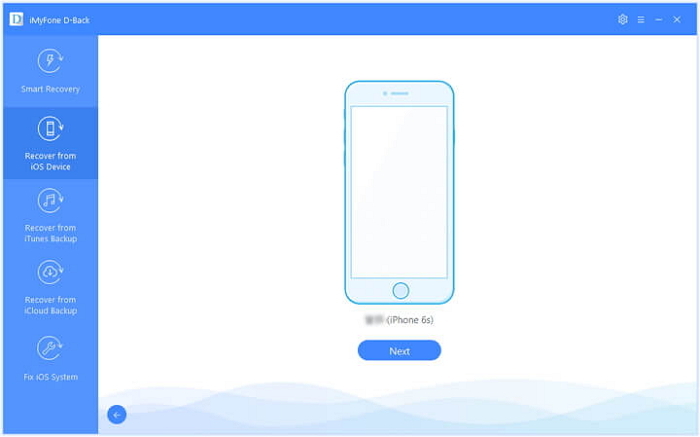 Regardless of how the data in the iPhone is lost, it can be easily retrieved in simple steps. It supports all the iPhone models and iOS versions and can recover almost all the file types. There are four modes with which you can retrieve the lost data. D-Back applies advanced technology to search for the text message records in the SQLite database in the most thorough way, which makes it the best text message records recovery tool with the highest recovery rate in the market. It supports to recover text message records without backup. Extract and recover text message records you need from iTunes or iCloud without having to restore the whole backup. 1. Open iMyFone D-Back and select “Recover from iOS Device” on the left. Click on “Start”. Connect your iPhone with USB cable. Click “Next” when the program automatically detects your device. 2. Different files types will be displayed. Select “Message” under “Message & Call Log” and click “Scan”. 3. When the scan is over, all the messages will be displayed on the screen. Select the ones you want and click “Recover”. Create a new folder or choose an existing one to save the recovered messages. 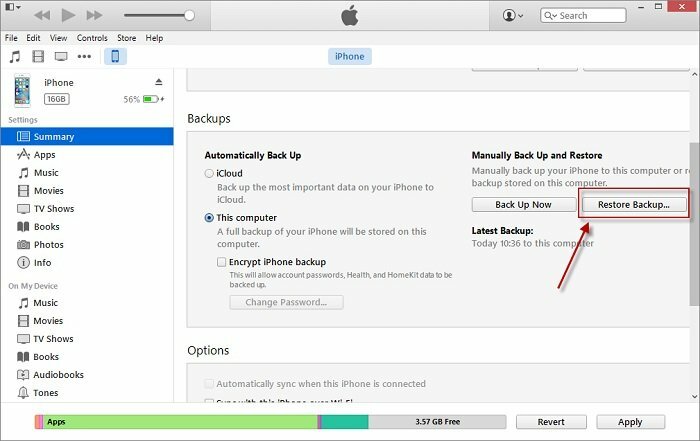 If you regularly backup your iPhone data to iTunes, it is likely that your deleted Notes could be in your iTunes backups. Connect the iPhone and open iTunes on computer you synced your device with. Then click "Restore Backup". Restoring the iTunes backup will replace all the existing data on your device. If you are not sure which iTunes backup contains the notes you need, we suggest you open and check all your iTunes backups via D-Back first to prevent unnecessary data loss after restoring. 1. Run D-Backand select “Recover from iTunes Backup” on the left. Click on “Start”. All the iTunes backups will be displayed on the computer. Choose the most relevant one and click “Next”. 2. All supported files types will be displayed. Select “Message” and tap “Scan”. 3. When the scan is over, all the messages will be displayed on the screen. Select the ones you want and click “Recover”. They will be recovered successfully when the process is completed. 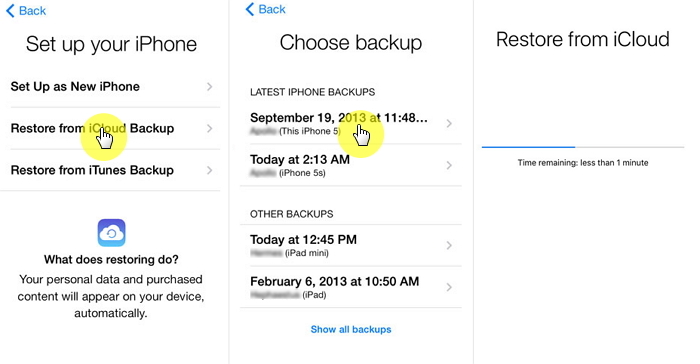 If you have backed up via iCloud, your text message records may be included on an iCloud backup file. Then all you have to do is restore the iCloud backup to get them back. Apple provides the instructions here. Before restoring iCloud backup, you must reset your device first, which means all the contents and settings will be erased. So in order not to restore the wrong backup, just try D-Back to view the data within your iCloud backup. 1. Launch D-Back and select “Recover from iCloud Backup” on the left. Click on “Start”. Sign in to iCloud account with your Apple ID and password. 2. Choose the most relevant one and click “Next” and select “Message” to start scan. 3. When the scan is over, all the messages will be displayed on the screen. Select the ones you want and click “Recover”. D-Back from iMyFone is one of the most sophisticated tools available to recover the lost data of an iPhone. It is secure and is trusted by most of the users and professional websites across the world. Here is one for the feedback. All the methods given above will definitely help you in getting the text message records back. Check them if you are searching how to get text message records and choose any of the methods that you trust. You can leave your comments below if you have any queries regarding the above methods.